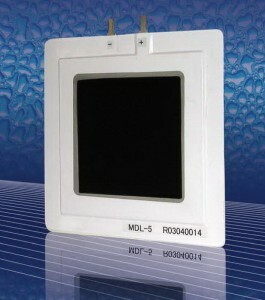 Mitsubishi Electric has developed a maintenance free low energy membrane dehumidifier for cabinets up to 4m³ or 140 cu ft.
Called Rosahl, low energy membrane dehumidifier utilises porous electrodes on each side of a hydrogen-ion conductive electrolyte film for transferring moisture from the anode to the cathode and dehumidifying the enclosure. It separates the hydrogen and oxygen from the moisture and passes the hydrogen through the membrane where is combines with oxygen to for water vapour. 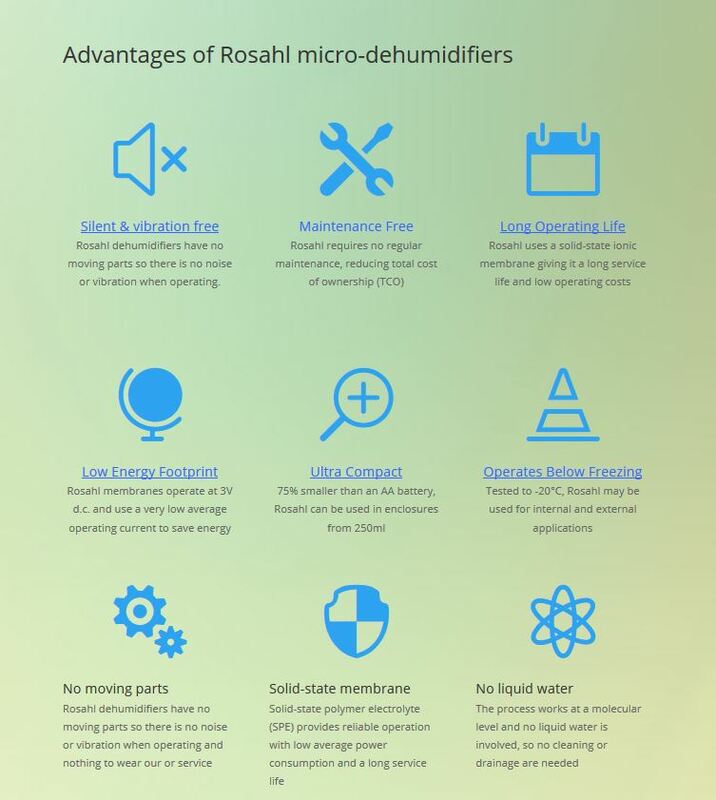 In terms of energy consumption, Rosahl membranes uses approximately 2% of a heater/compressor system and 20% of that for a Peltier system: for example, Rosahl is capable of dehumidifying 2m3 (70cu ft) of a control panel at an average power consumption 5W, whereas the heating and Peltier systems require 250W and 50W respectively. This means Rosahl dehumidifiers can be solar powered, or from a suitable battery source making then suitable for protecting stand-alone road signs and equipment in remote locations. By preventing moisture in storage areas Rosahl can also be used in a wide variety of applications including CCTV and IP cameras, foodstuff and pharmaceutical storage, museum exhibits, gun cabinets and similar. 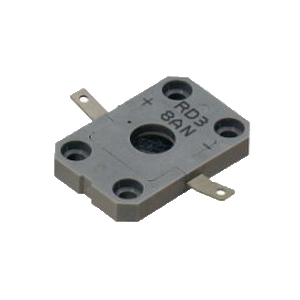 They are increasingly used with LED and laser equipment to reduce the risk of moisture damage and condensation. ROSAHL has the added advantage of no moving parts so there is no noise or vibration and it requires no drainage as no liquid water is involved in the process. In addition to preventing unsafe conditions (corrosion etc.) and extending the service life of the control panel and its components, Rosahl dehumidifiers reduce energy consumption and negative environmental impact when compared with alternative technologies.